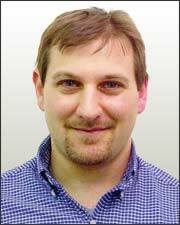 Jason Blume has managed the development of electronic sensor systems at Sensor Products Inc. for the past five years. He has been instrumental in creating specialised products for industrial applications such as tyre, brake and lamination testing. In the consumer area, he has developed interface products that improve comfort and well being that range from squeeze tube toothpaste dispensing to ergonomic mattress development. New projects Jason is working on in 2009 include body armour testing, civil engineering and mass transit safety.Jason believes in a practical approach to developing products that people use. Engineering, marketing and delivery are all factors he takes into consideration as he works with clients. Q: How is your electronic sensor system called Tactilus® being used in defence operations? A: Tactilus® is currently being used in the development and testing of new body armour and vest designs through a project managed by KDH Defence Systems for the US Air Force. The sensor system is placed on the body underneath the vest and armour. It quantifies where soldiers are uncomfortable and lose agility by displaying pressure maps which show changes in weight distribution as the soldier moves. Q: Can you tell us more about Tactilus®? A: Tactilus® is a sensor system developed by Sensor Products Inc. that reacts like an electronic skin. When placed anywhere on a soldier’s body underneath body armour and a backpack it produces a body map which pinpoints areas of greater pressure that may cause pain or strain. The system records data several times per second, so it can be used to test the effectiveness of different body armour prototypes as soldiers go through manoeuvres. Tactilus® can also be used to record the magnitude of impact on composite fibres. Q: How did you incorporate the sensor system into the armour for your testing? A: We actually cut the lines of the sensors and reconfigured it into two L shapes to provide coverage of the neck, shoulders and upper torso. A third standardly configured sensor was also used. 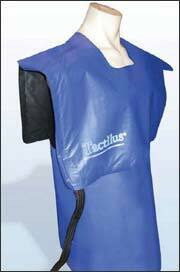 Q: Besides testing and designing body armour, are there other military uses for Tactilus®? 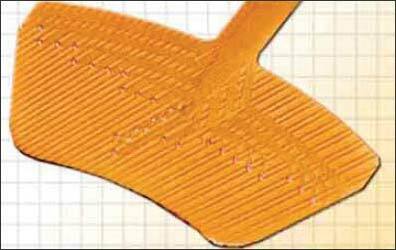 A: Tactilus® is very sensitive and can measure the pressure of almost any two components that touch each other. It has been used to test brakes pads, tire treads, door seals, seats, safety belt designs, and the impact of crash tests. Since it is a very flexible system, there are scores of other applications. Q: Technology can be very expensive… What about Tactilus®? A: Purchasing Tactilus® is a very small investment which yields enormous benefits. 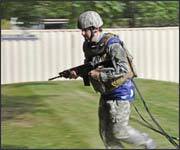 The average soldier wears thousands of dollars worth of body armour and equipment. Tactilus® is a solution that often costs around $20,000+ that can improve the comfort and tactical ability of virtually any soldier who wears body armour. Even if the project is more complex, in the case of body armour the fact that you can save lives as a result of this technology makes it a very small investment. A: Tactilus® can be specified for virtually any application where two surfaces contact each other to measure pressure in a selected range between 0.1 PSI (0.007 Kg/cm²) to 2,000 PSI (140.61kg/cm²). ( The vest specification is 0.1 PSI (0.007 Kg/cm²) to 30 PSI (0.2.1 kg/cm²) It can be used in applications as an off-the-shelf item, but it is usually adapted to meet the requirements of the specific project. As a modular system, it can be expanded - up to six discrete pads can be used simultaneously. Additionally, the underlying technology can be used in different formats, taking the form of probes, free form sensors and many other designs to accommodate different shapes and situations. Our sensors conform to shapes such as door seals, seats, wipers, tires, heat sealing machines, wafer polishers, lamination presses, between rollers, and many others. Q: Technology can also be difficult to operate and understand. Is this true of Tactilus®? A: Virtually no training is required. The systems are pre-calibrated. The software prompts you through installation and runs off any compatible Windows based operating system. The system is so intuitive that virtually anyone who can use and interpret an Excel spreadsheet and a very basic graphics system can understand it. Tactilus® is light weight and portable. It is equipped with a hub that can be accessed through wireless if desired expanding its reach and utility. Q: Are there any special safety precautions that should be taken? A: Normal care should be taken in handling it, as you would with any electronic product Tactilus® is very rugged and durable. It produces and excellent signal, virtually free from noise. Advanced electronic shielding maximizes the sensor’s immunity to temperature and humidity. Q: What improvements are there likely to be for Tactilus®in the future? A: Sensor Products Inc. is very interested in staying on the cutting edge of technology and meeting the needs of our customers. A second generation of Tactilus® was developed a couple of years ago. There will doubtless be refinements in the future. Q: Are there other products at Sensor Products besides Tactilus®? A: Yes. We are a world leader in the niche field of tactile surface pressure and force sensors. If a product does not currently exist that the customer wants, we are often willing to develop it. Our sensors are thin film elements that reveal actual contact (interfacial) pressure and distribution between any two mating or impacting surfaces. Our sensor film Pressurex, which reveals pressures between 2-43,200 PSI (0.14 – 3,000 Kg/cm²), and our electronic sensors are used in applications as diverse as tire testing to semiconductor manufacturing and from R&D labs to space missions.